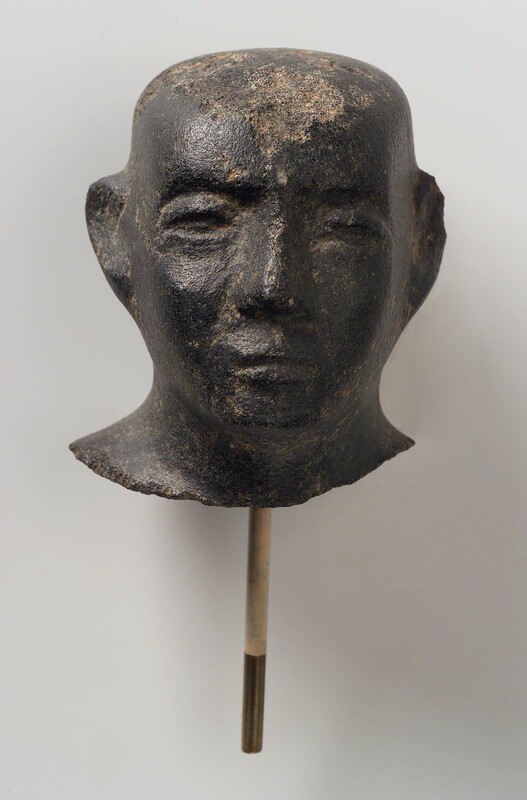 This is a bald and beardless head from a male statue. 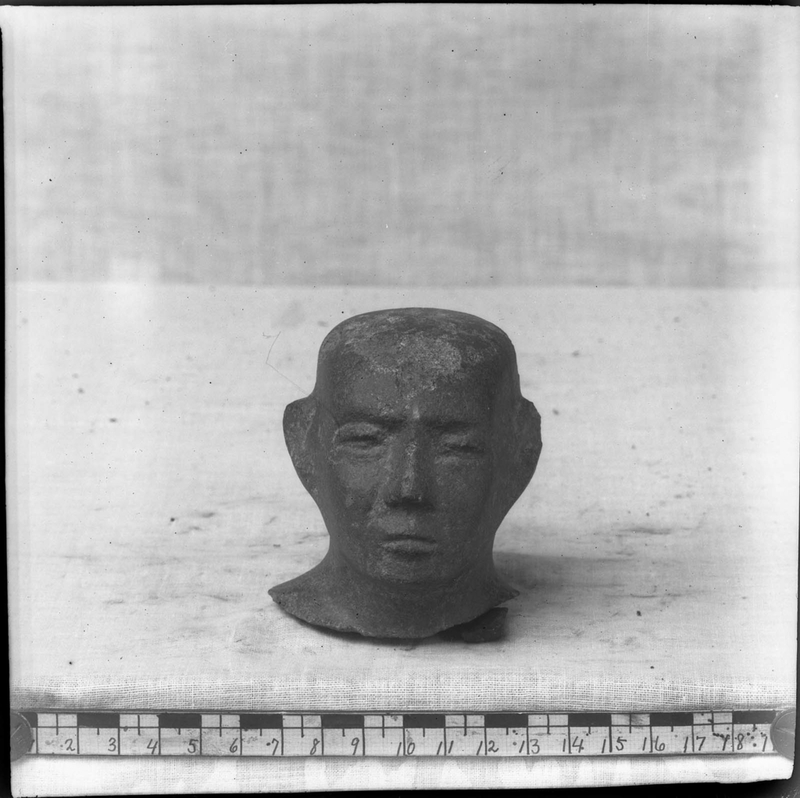 The face is finely modelled with nose intact. 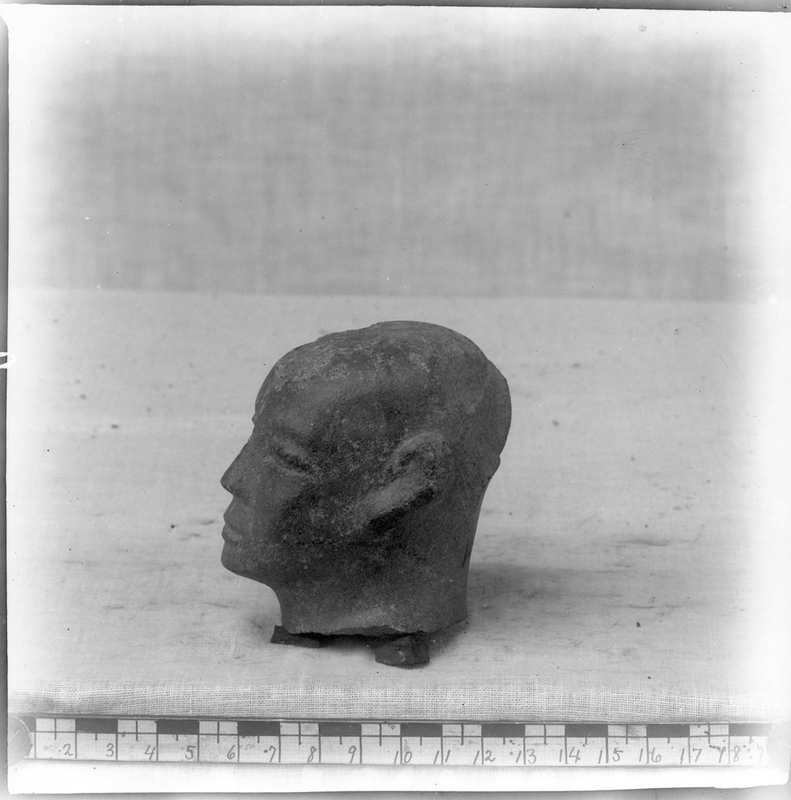 The top and the back of the head is battered. The stone is black granodiorite, the break areas look almost melted (often with large pink feldspar veins or inclusions). GD4. From Nubia (Sudan), Kerma, K II Upper Deffufa room B near door about 200 cm above floor. 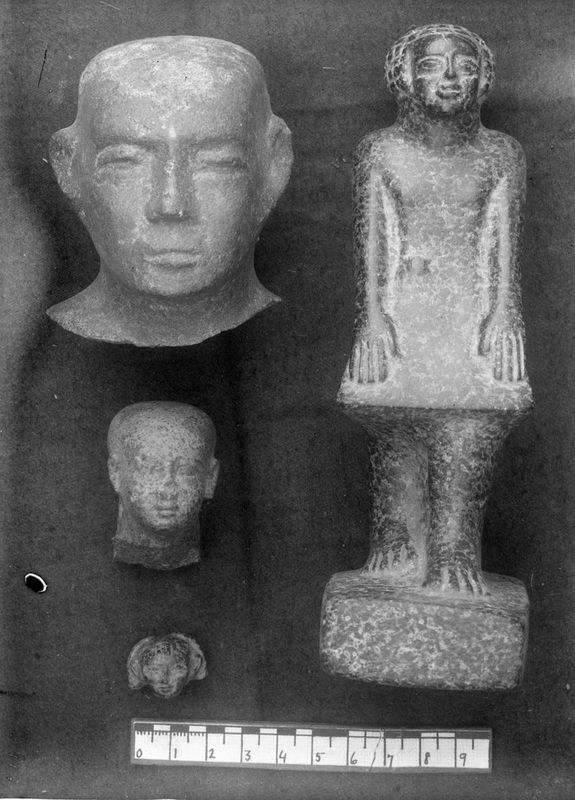 1914: Excavated by the Harvard University–Boston Museum of Fine Arts Expedition; assigned to the MFA in the division of finds by the government of Sudan.